(March 26th 2016) China has pressed Japan not to broach Beijing’s disputes with regional neighbors in the South China Sea at the upcoming Group of Seven summit to be held in Japan in May. Diplomatic sources say that China is pressuring Japan not to bring up Beijing’s disputes with regional neighbors in the South China Sea — including its seizure and militarization of reefs in those waters — at the G7 Summit in Japan on May 26-27. China warns that addressing the issue at the summit would undermine efforts to improve relations between the two nations. 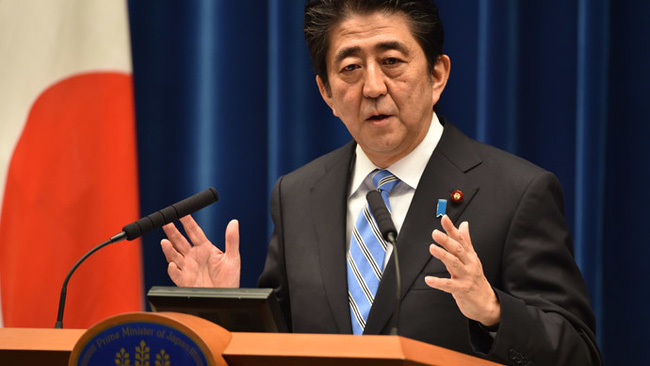 However, Japan has rejected the Chinese demand, saying that the international community cannot accept China’s building of artificial islands in the sea and their militarization, the sources said. 30 percent of world trade goes through the South China Sea. China has overlapping territorial and maritime disputes in the South China Sea with Taiwan and four members of the Association of Southeast Asian Nations — Brunei, Malaysia, the Philippines and Vietnam. The U.S. has also expressed alarm about China’s increasingly aggressive expansion in the region. Japanese Prime Minister Shinzo Abe is expected to emphasize the importance of the rule of international law regarding freedom of navigation in the sea in a G7 leaders’ declaration that’s expected after formal consensus on the issue is achieved at G7 foreign ministers’ meeting in Hiroshima in April. If Japan does raise the issue at the summit, Beijing may well block improvement in bilateral ties that have already been undermined by a territorial dispute involving islands in the East China Sea.